Current version: 1.2.3 (changelog). Discontinued, please try gomymobiBSB - a better website builder & online store creator platformAwesome Mobile Site Builder (AMSB) is a downloadable script to host on your live host. We're so confident that you’ll be satisfied with this mobile site builder that we're giving you a Risk Free full 30 days to check it out, but for some subtle reasons, please try our FREE trial mobile builder services for UNLIMITED features first; if then for any reason you’re not satisfied just email back and we’ll refund every penny, Guaranteed! Recently, Google has released one of most important updates that affects to billions of websites, that's Mobilegeddon. But with this Awesome Mobile Site Builder (AMSB), building the mobile sites can not be easier, whether you're a web developer or just a business man. No setup mobile site builder, just upload to live host & run immediately within 3 seconds. 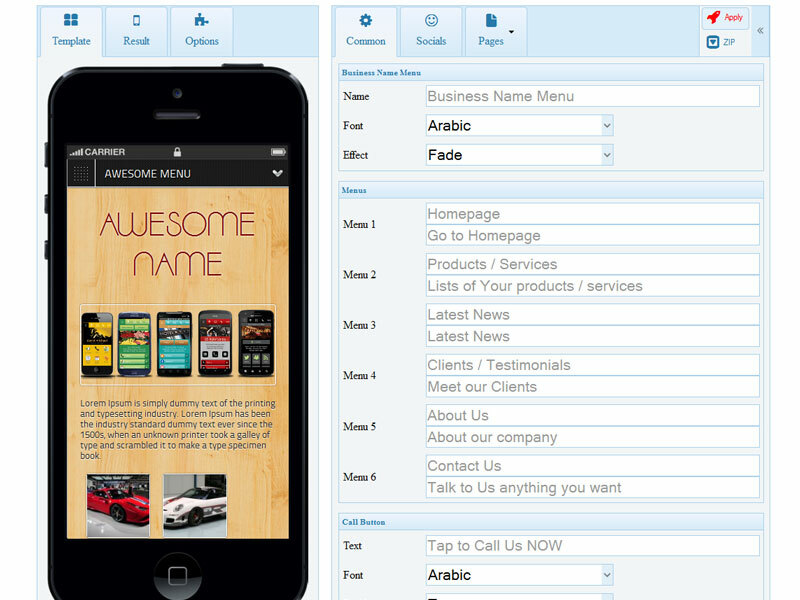 Your clients use this script to create UNLIMITED mobile sites. As soon as your clients granted access, they just login and start creating UNLIMITED mobile sites. Membership system is based on text file but securely. No more acction required to activate membership management. 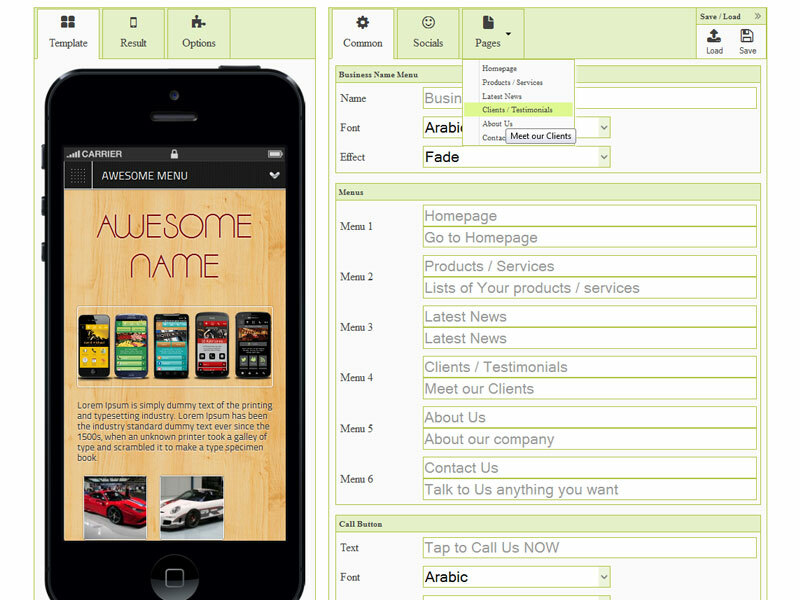 Support & Convert the mobile site builder to other languages easily & quickly with a language text file. 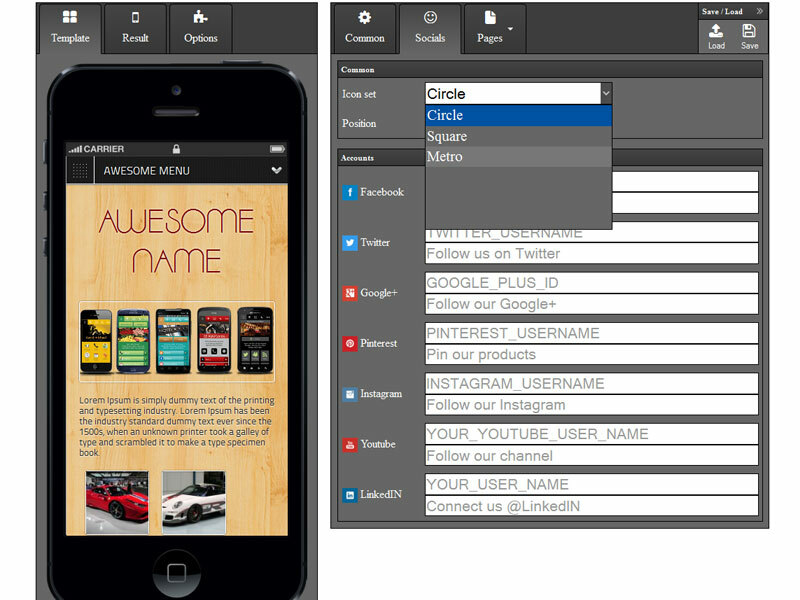 We may create mobile sites on any device, any platform, just with a browser. 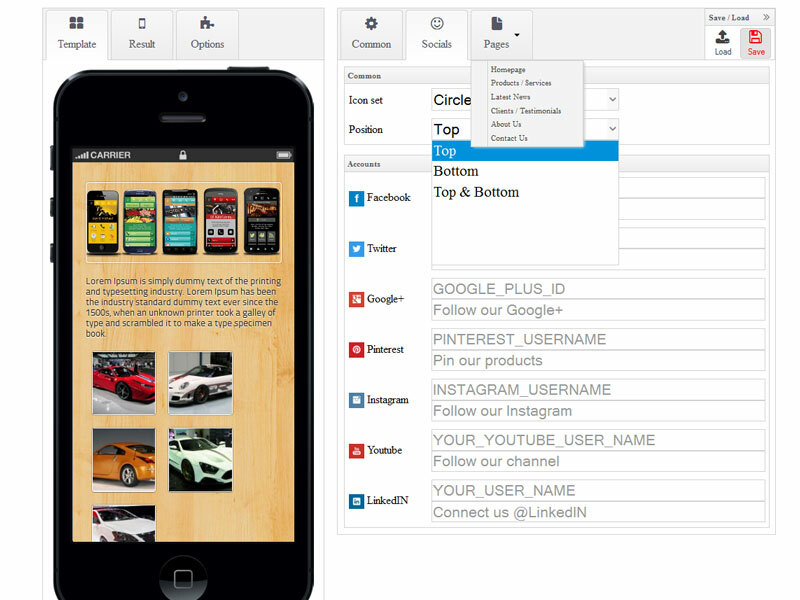 Support unlimited responsive mobile themes and add more theme to builder as you want. All mobile sites are emebed Google Maps to show bussiness / company address & directions. With full WYSIWYG editor, any video source can be embed easily & quickly into your content. Every mobile site downloaded with a mobile redirection script, to help your clients transfer visitors to their awesome mobile site version. 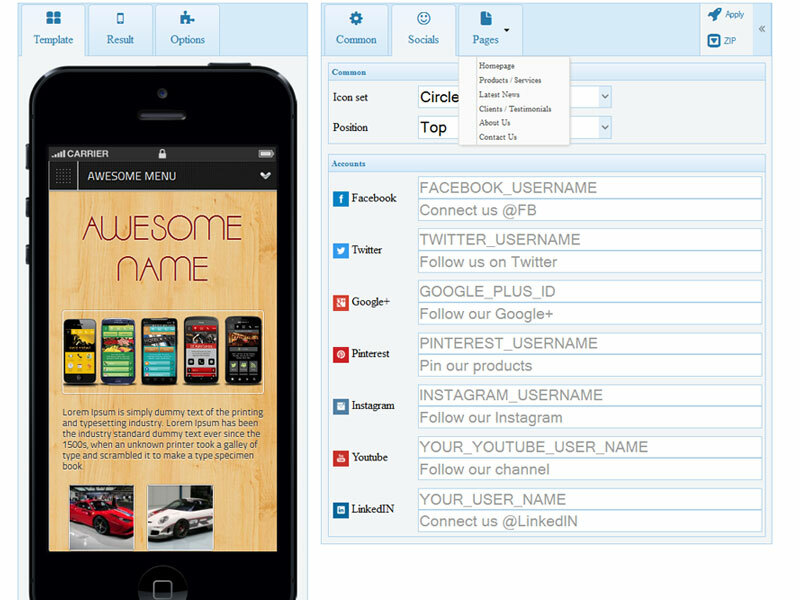 Support 3 famous social sites: Facebook, Google+ & Twitter, only need to fill your social account names to generate. Receive visitor's messages directly into your inbox, easily to convert this contact form to some AutoResponder / Newsletter / Subscription. Every mobile site comes with an awesome Click to Call button, that help visitors contact you in a second. Build your landing pages, lead pages & squeeze quickly and can not be easier. Just few clicks to change your mobile sites to other color sets in seconds. 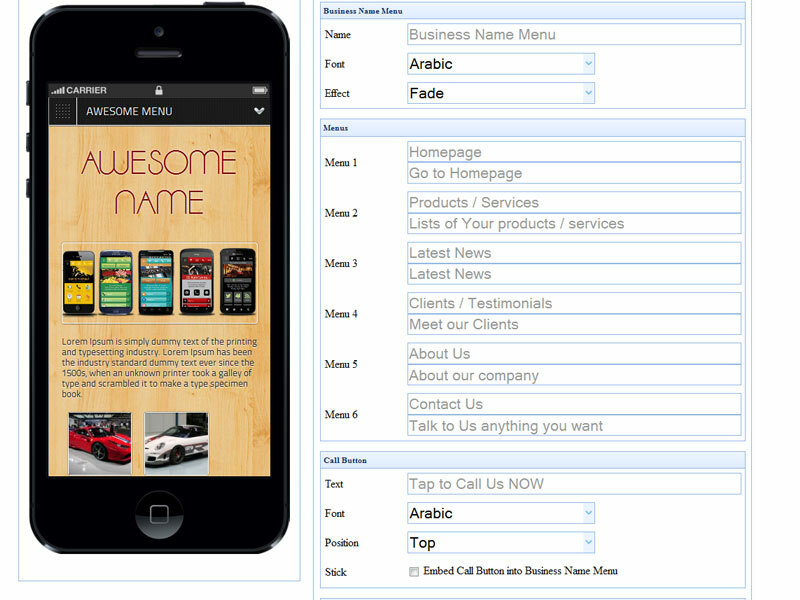 Mobile site builder allows you Save / Load current job into the offline files to continue the works in future. All mobile site themes come with stunning & amazing UX animations that incredible. Mobile site builder & all mobile site themes work on any device, any platform & any screen size flawlessly with same UI & UX. We're developing & adding new features frequently, so your mobile site builder can not be out of date. Category: PHP. 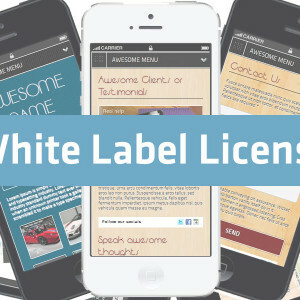 Tags: AMSB, Developer License, Mobile Site Builder. Full completed source code & comments to understand better. UNLIMITED web elements: picture gallery, Youtube viewer, Paypal (and other payment gateway), vCard, price tables, etc. More social integrations: Facebook, Google+, Twitter, Youtube, Instagram, Viber, Whatsapp, etc. Full compatible with HTML5, CSS3 and more other modern technologies. 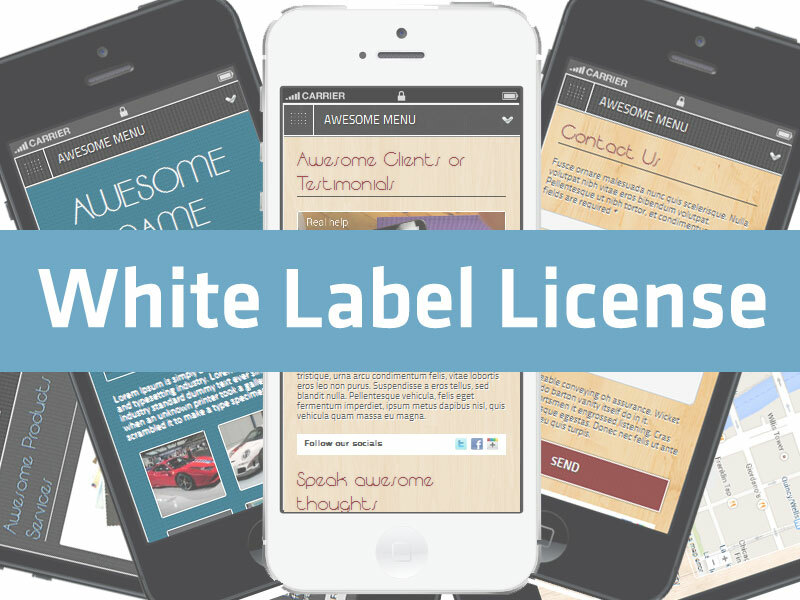 Be the first to review “AMSB Stand-alone version: White Label License” Click here to cancel reply.